National Geographic Photo: Great site for great SHOTS! There is one week each year I allow myself to unabashedly, without guilt, or restrictions to bask in the light of my Television screen. 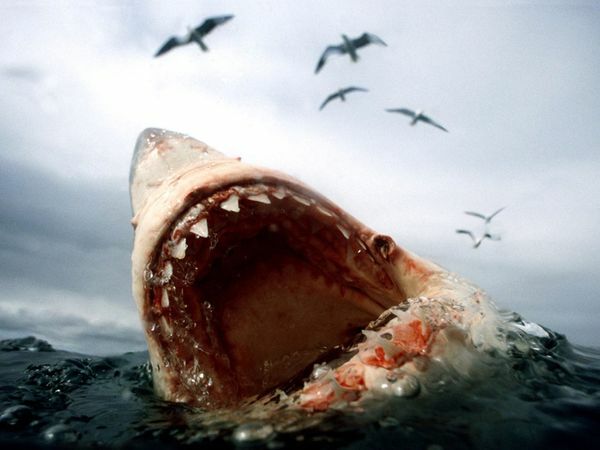 Shark Week is that most anticipated and adored week. Discovery Channel hosts this amazing, intense, sometimes disturbing event which has many enthusiastic fans. But I will tell you it started in Middle School. My 6th Grade Science Project was on Sharks, and after that my shark intrigue and fascination grew. Of course, over the years it was fed intermittently at best, with those Jacques Cousteau specials. 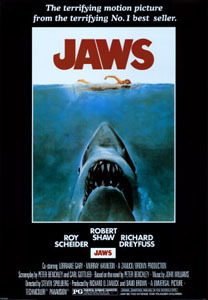 I saw Jaws when it opened in theaters. which starts August 12, 2012. I may have to have a Bloggy vacation that week, friends. I confess I am a crazy Shark Week and Shark fan! in 1994 on July 31st. I was with friends and excited for my first beach visit of the vacation. (live web cam- really cool-scroll to bottom). Understand, I am one who is known at times to be oblivious to my surroundings. However, I was with 3 other people. I know that the beach had a number of beach goers that day. Par for the course beach day. We were enjoying the beautiful clear green water, standing in about waist to chest deep. We were actually facing away from the beach and toward the ocean. I suggest, you never do that. Always keep one eye toward the lifeguards and shore. with them when I hit the beach. However, on this day while I was freely frolicking, I failed to do it. This incident was not without an insightful lesson, either. who I was, and who I believed I was with this incident. He revealed to me the very lack of my love for others in this moment. with what could have been, but was not to be. However a defining moment, it was for me. the beach mood and dynamic at the shore had drastically changed. I am not sure of what prompted our attention. But as if in slow motion we turn toward the beach. We are standing alone in the water. I imagine about 4 1/2 feet, deep water. I have failed to experience in my life prior and since. Fear that is so present that death itself feels near. I believe I smelled death that day. could make us move faster with their own movement. What we see is not encouraging friends, I sense fear in the hundreds of faces facing us. I see the backsides of a handful of people, ankle deep having already hastily exited the water. Of the three others with me, I am furthest to the left and closest to what I see skimming through the water. We are all pushing in toward the beach and the only thing I see or feel is the moment. It looms large and I feel as if I am about to fall into an unknown, incomprehensible abyss. This moment, even as I write it wells up from within. My eyes are piercing the lifeguard as if she is Jesus. I never let my eyes depart from her. There is no doubt that I must not look back at what I dare not see. There is not a second to even consider it. It is forever etched in my memory banks. Ten to Twelve feet of grey doom under clear green beauty. the adrenaline coursing through my body. I care for no one or nothing at this moment but my own survival. what I know pursues me. I forget I am with friends. We make it to shore. Thus began my “shark magnet” reputation and joking. We decided to head off for lunch. We had asked the Lifguard why she thought the shark darted so suddenly. There is much we do not understand about the creatures God created. All cannot be understood or known. I do want to say, I have an immense love and appreciation for these mysterious creatures. I am grateful that the shark darted away on that fateful day. The bottom line is we share this good earth, with creatures that He has put here. Remember that when you go in the water. I liked hearing about your experience. Glad the shark did not get you. I concur. 😉 Thanks, Lauree. Holy cow! That's my worst personal nightmare come to life. I'm not sure I'd have been able to pull it together to enough to keep walking or if I'd have frozen on the spot.I know what you mean, though. Even here in my suburban neighborhood, that was surrounded by farm and woodlands not all that long ago (and actually still isn't far from either), we have plenty of wildlife encounters. In our backyard alone, we've seen deer, wild turkeys, skunks, possums, ducks, a large hawk, a small hawk, groundhogs, and a momma bear and her cub. There are coyotes and bobcats in the region so it really wouldn't surprise me to see either of those in the yard one day. As we keep encroaching on their habitats it's to be expected that run-ins will increase. We just need to be educated and think a little bit. God did put them here for a reason, too. Dawn! I am almost shaking! This story was scary but so thankful you and your friends were okay! Oh my!!! God is an awesome God! Ashley, it's that kind of story, right? God is awesome, and He wanted me to have a reality check…He uses everything to teach us if we let Him! I am a horrible swimmer. The last time I was in the ocean up to my waste, it was a huge mistake. It was Acapulco and the beach was rocky and it sloped down. So whenever the tide came in it knocked up into the glass like beach. I got out quickly. It was more than I could handle. To this day, when I go to the beach I don't go in up past my calves. God was surely looking out for you that day. Wow, what a story to share, and you tell it so well. wow, that's quite an experience, Dawn and the way you tell it, makes my heart pound! i specially like the line “My eyes are piercing the lifeguard as if she is Jesus.” i am sure there are so many unseen dangers around us that we should be running from. 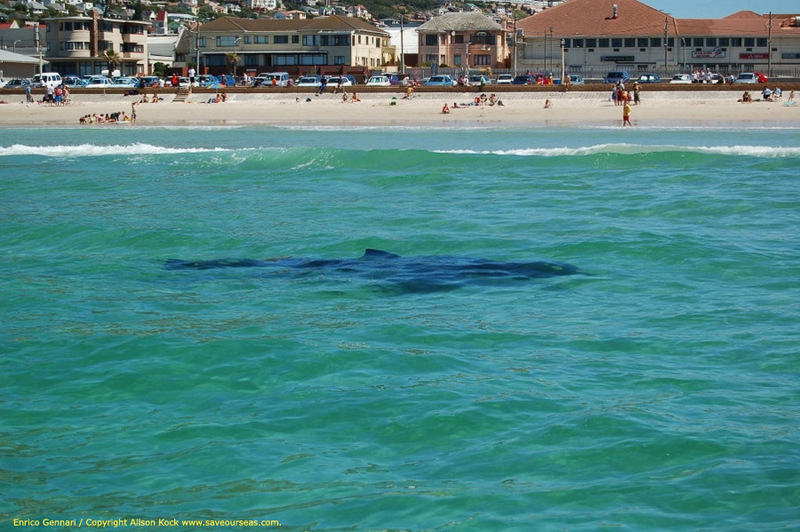 if we could see them like you saw that shark, i'm sure we would be running to Jesus much more! great post! Wow. That is amazing and you told it so well. Wow. Freaky. 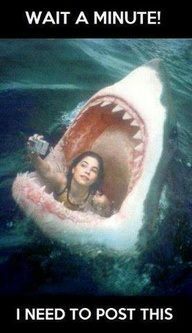 Wow…I never knew you were up close and personal with JAWS! What a frightening experience…glad you are here to tell the story and be my photo chaser friend! Guess what…I went to a cocktail party at Peter Benchley's house some years back and met the JAWS man in person…! See how God brought us together…lol!